It is enough to take a means of public transport and look at the use given to your mobile phone by people who travel in it to realize that many use it to play. As it could not be otherwise, manufacturers are aware of the frequency with which this scenario occurs, which has caused some to develop models specifically designed for gaming. This time it was ASUS, taking advantage of the fact that Computex is being held in Taipei (Taiwan), the brand that has just presented a new smartphone designed from top to bottom to meet the needs of the players. However, what really makes it interesting is not the fact of having a SoC of last batch and a lot of memory. These features are held by many other high-end terminals. The a priori attraction is that it has a steam chamber cooling system, ultrasonic touch sensors and an AMOLED screen with HDR support, 90 Hz refresh and 1 ms response time, among other details. Let’s see what he offers us. As you can see in the table below, the ASUS ROG Phone has specifications comparable to those of other high-end mobile phones. Among its features it is worthwhile to notice its SoC Snapdragon 845 with Adreno 630 graphics logic optimized for games, its 8 GB of RAM and its 6-inch AMOLED screen with HDR support, 90 Hz refresh and response time of 1 ms The characteristics of this panel are clearly indicated for a device with a gaming machine vocation. Unfortunately, ASUS has not yet revealed some specifications of its new smartphone, hence missing some relevant data in the table. Of course, we will complete it as soon as we know all the features of this mobile phone. During the presentation of this smartphone in Computex ASUS executives have emphasized that its Snapdragon 845 microprocessor, and especially the Adreno 630 graphics logic, have been optimized to play, but without the need for overclocking . This a priori should ensure a stable behavior of the terminal even with demanding games. We all know that graphic logic plays a crucial role in devices designed to play, regardless of whether we are facing a PC, a video game console or a smartphone. The first synthetic tests to which he has been subjected give very promising results. According to ASUS, in AnTuTu it reaches 304,183 points, in 3DMark Sling Shot Extreme Unlimited 5,207 points, in 3DMark Ice Storm Unlimited 66,874 points and in PC Mark Work 2.0 10,764 points. Of course, these results can only be considered preliminary, so we will confirm or refute them as soon as we have the opportunity to analyze this mobile phone ourselves. There is no doubt that the screen is one of the most striking components of this smartphone. And it is that it uses an AMOLED panel compatible with HDR (although at the moment we do not know its brightness level) and capable of representing the complete DCI-P3 color space. In addition, its ASUS contrast ratio is 10,000: 1 . As you can see, on paper it looks good. Another of the most interesting features of this mobile phone is the cooling system that has been developed by ASUS engineers to prevent the graphic logic and the CPU from reaching their maximum temperature threshold. To prevent it, they have opted for a steam chamber similar to the one that Microsoft has installed on their Xbox One X , and what a good result it seems to be giving users. The main advantages of this cooling system are its high efficiency and minimum volume , which allows it to be installed in a device as compact as this smartphone is. With the aim of improving the control system that makes this mobile phone available to us, ASUS has equipped it with “ultrasensitive” sensors that, in theory, offer us greater precision when acting with our fingers on the screen . 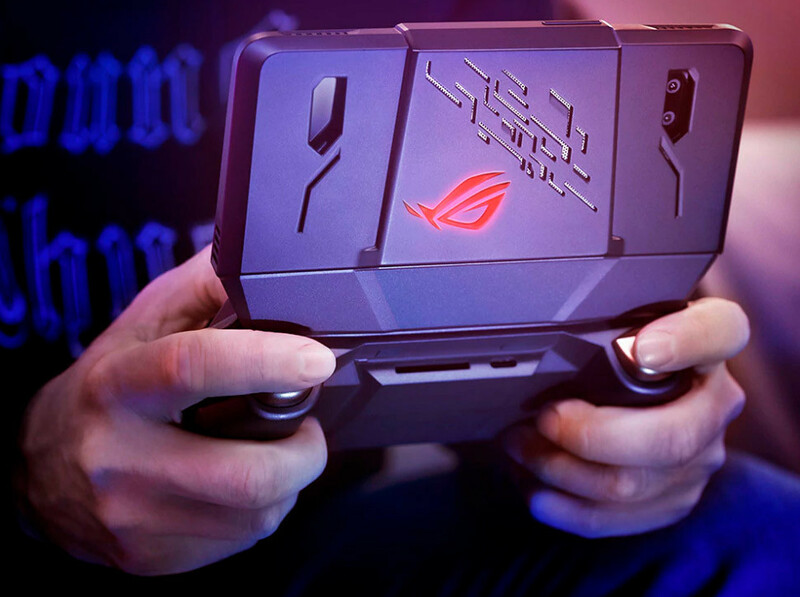 The ROG Phone also has an advanced vibration system that allows us to immerse ourselves in the action. The gaming experience that ASUS offers us with this mobile phone is not limited to the smartphone itself. 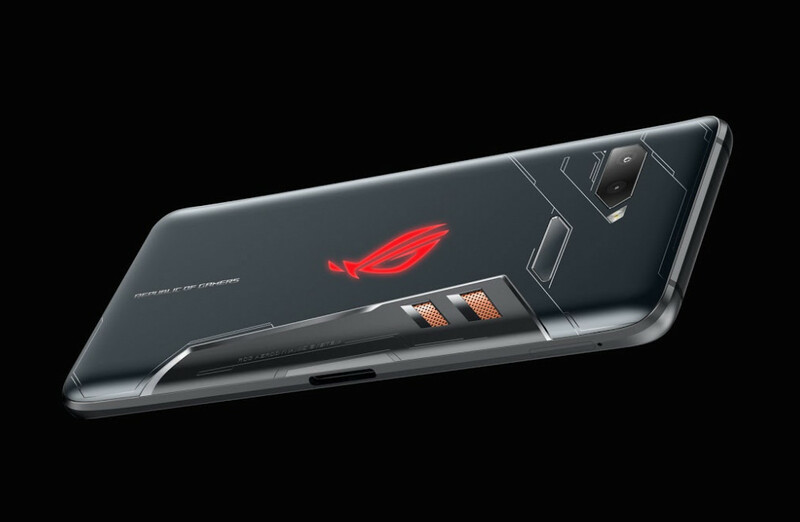 And is that the Taiwanese brand will launch with the ROG Phone several accessories designed to squeeze to the limit its possibilities as a device for games. One of these complements is the Aeroactive Cooler , a base that attaches to the back panel as if it were a clamp and that solves two objectives: it contributes to the cooling of the terminal thanks to an additional fan and improves its connectivity by adding a USB port and an output in minijack format.